Last night, the LA Dodgers beat the Nationals to advance in the MLB playoffs. They now move on to face the Chicago Cubs. Honestly, I’m not a big follower of major league baseball. It’s tough to be a big fan living in New Mexico. But growing up here, the Dodgers were as close we had to our own team. 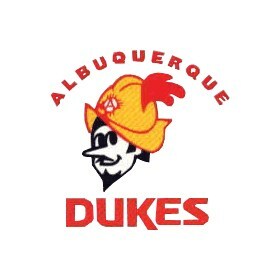 Too small for a professional team, Albuquerque had the Dukes – the AAA farm team for the Dodgers. Minor league baseball is different than its high-profile big brother. While MLB focuses on big name players in big markets making big money, minor league baseball is family focused. Minor league baseball is played in small stadiums in front of small crowds with temporary players. Some of the players are recovering from an injury with a short stop along the way. Others are at the beginning or ends of their careers. Maybe because it’s what I grew up with, but I prefer minor league baseball. The traffic is less. The cost is less. And the overall experience is relaxed and a fun way to spend the evening. I know most people will be supporting the Cubs. They are the sympathetic choice of most baseball fans. But in honor of the once great Albuquerque Dukes, I will be supporting the Dodgers as they continue down this path. Readers, are there any other Dodgers or Cubs fans out there? Let me hear from you. Previous Post: « Should You Use Your Gut to Make a Good Decision? As a Nats fan it was incredibly painful watching the game last night. Unfortunately this is par for the course as their bullpen normally implodes. Good luck against the Cubs. It’s looking like the series will be a fun one. Tied 1-1. More to come. Sounds like as good a reason as any to support a team.